NASCAR has firmed up its regulations over on-track incidents in the wake of the death of Kevin Ward Jr in a sprint car incident involving Tony Stewart last weekend. Ward died when struck by three-time NASCAR Sprint Cup champion Stewart's car during a sprint car race at Canandaigua Motorsports Park last Saturday night. He had approached Stewart's car on foot following a collision between them that ended his race and caused a yellow. 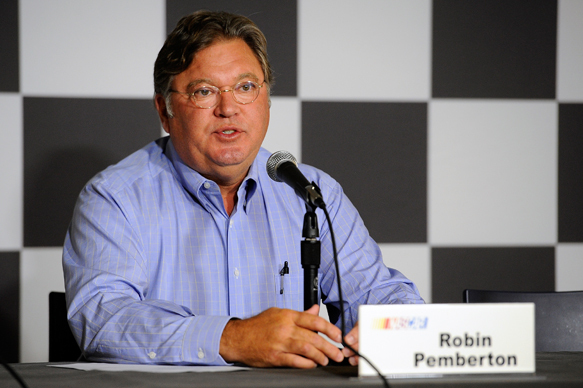 NASCAR's vice president of competition Robin Pemberton announced at Michigan Speedway on Friday morning that it would now "formalise rules" over how drivers should act following incidents. The newly-added rule 9.16 says that if a driver's car cannot continue after an incident, they must stay in the vehicle and keep safety equipment fastened until directed otherwise by officials, and then proceed directly to an ambulance or other official vehicle as instructed, without approaching other cars. Drivers still running under caution period have also been urged to "use extreme care as they approach at incident scene" and "not weave or otherwise stray from the line". Pemberton confirmed that the rules adjustment was a direct response to the Ward tragedy. "We've demonstrated in our history that we're willing to react quickly to incidents," he said. "Through time, you get a reminder or a tap on the shoulder that something may need to be addressed. "This is one of those times where we look outside our sport, see other things, and address them." No details about potential penalties for transgressions were announced, with Pemberton saying incidents "will be addressed according to each individual situation".